NHS Calderdale CCG’s Quest for Quality in Care Homes programme aimed to support the delivery of efficient, proactive care and reduce unplanned hospital admissions. 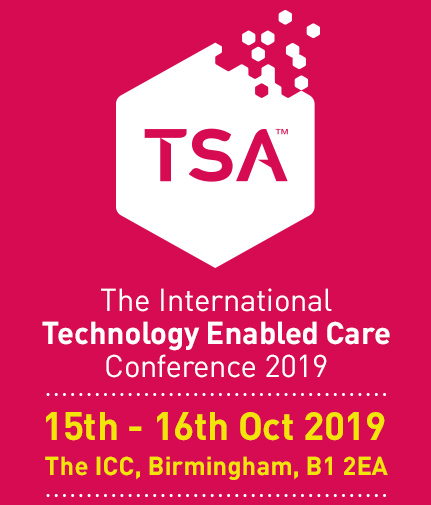 The project combined technology, including telecare and telehealth, with a Multi-Disciplinary Team providing an integrated social and clinical approach to support anticipatory care planning. Horsham District Council are excited to be the first Council in the UK to offer a new service using Virtual Reality for health. This has enabled us to enrich the lives of some of our most vulnerable residents in their own homes in a cost neutral or potentially income generating way. A whistle-stop talk of what the new service is and how we have implemented it to support those with Dementia, and other healthcare needs. The 247grid is a proven, visual cost effective software resource that changes the Social Care mind-set from dependency to enablement. It delivers targeted expenditure to achieve better outcomes and gives transparency and accountability for calculation and use of personal budget to the end customer. Come and here how 12 local authority areas, 10 support providers and 250 recipients of social care funding are using the 247grid to start a new co-productive conversation. TSA`s Learning and Education journey began back in 2017 to understand what was needed to support and develop knowledge and skills for people working with technology enabled care, both for the TEC sector workforce to gain the recognition for their roles through a recognised framework of learning, education and training, and for other health and social care professionals to build confidence and understanding of the use of TEC in their roles. Come along to hear about the latest developments in the learning, education and training around the delivery of technology enabled care and give your feedback on what support you require in the future programme. Unresolved mental health disorders are the single largest cause of disability in the UK, 1 affecting one in four people & costing the English economy ∼£105 billion per year. Recent data from the ‘Increasing Access to Psychological Therapies’ (IAPT) initiative, suggest that for every 100 individuals referred by GPs for specialist mental health services within just 48 will receive treatment, only 12 will complete treatment, & a mere 5 will achieve a reliable recovery. How do we manage this challenging landscape? How mhealth apps are being used to support patients, citizens and professionals in the Mental Health Space and learn how you can join the journey!